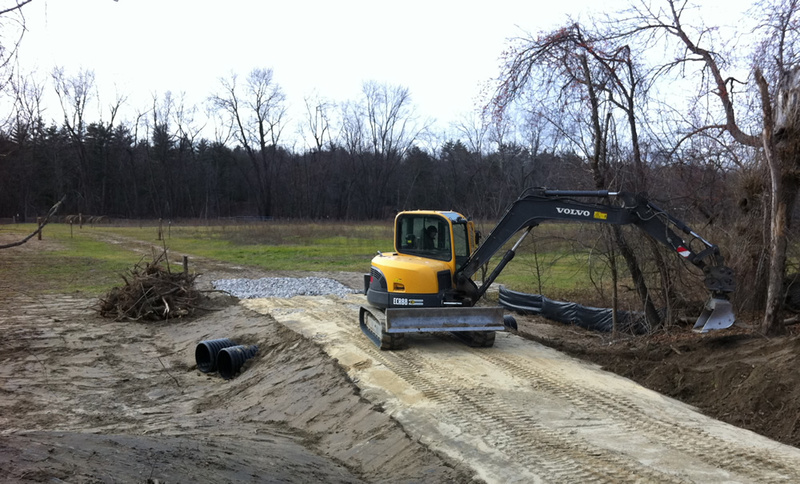 The NRCS has given us a grant to install a culvert where our farm road crosses a seasonal stream to help us keep the livestock out of the stream. We are also beefing up our fencing along the stream. This is a shot of one of Kevin Sweeney’s guys putting on the finishing touches.